Grasping Giraffe is great for baby's little fingers! Everyone will want a "turn" to swivel, pivot and rotate the nine hardwood segments of this charming giraffe! A great grasping toy to help develop baby's little fingers while charming everyone else! A great baby gift! Giraffes stick their necks out to make the world a better place! 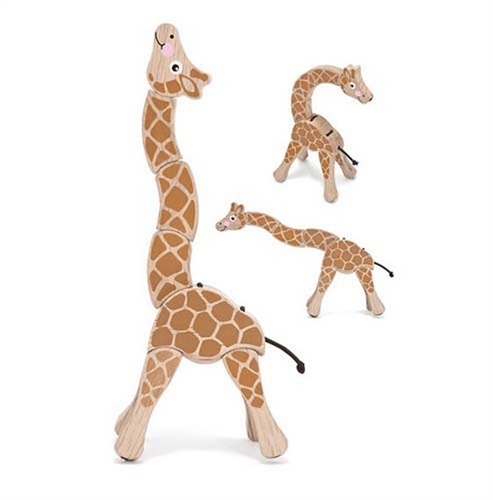 Mitzvah toy: proceeds will benefit giraffe preservation!